On January 31, 2014, the Norphans made our first "official" donation to the Philadelphia Fraternal Order of Police (See photo below). 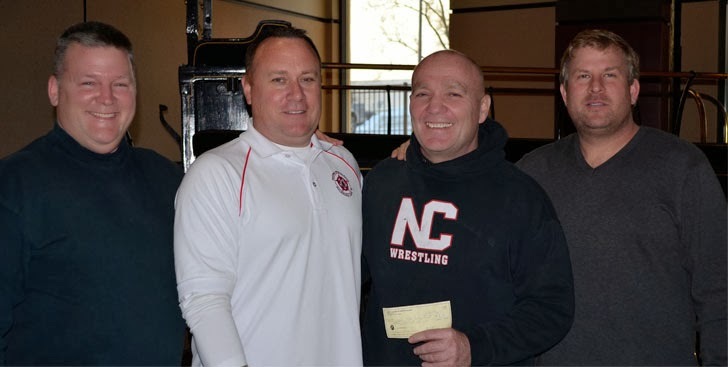 Norphan rep, Mike McBride presented a $3,000 check to Bill Hunter '79 (NC wrestling legend) and reps from the FOP, Mike Trask '89 (Financial Secretary) and John Ruane CD '91 (Treasurer). In the coming weeks, additional funds will be dispersed. Each donation will be documented on the "Charities" page of this blog.